Are you planning on watching the Olympics with the family? Do you have a favorite Olympic sport you like to watch? I am always amazed at all the sports that make it into the Olympics, so fun. 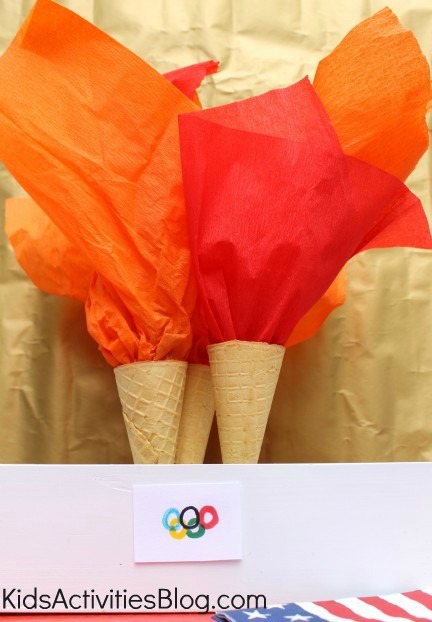 Here is a fun snack to get your kids in the Olympic spirit. We had our own backyard Olympics last weekend and our boys thoroughly enjoyed themselves. 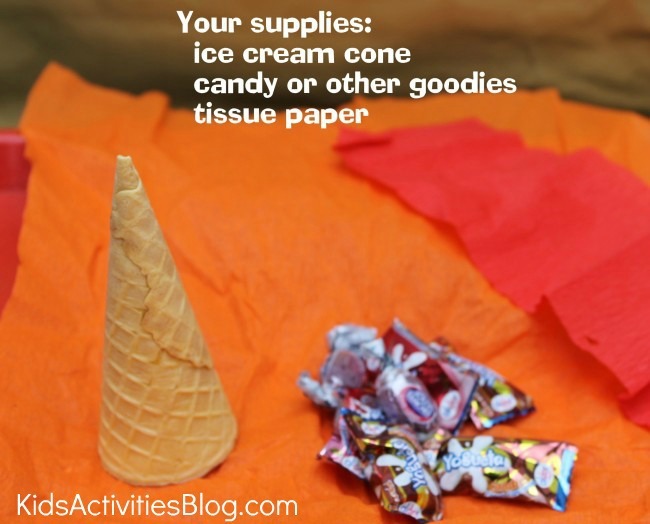 Wrap candy in the tissue paper and twist into the ice cream cone. 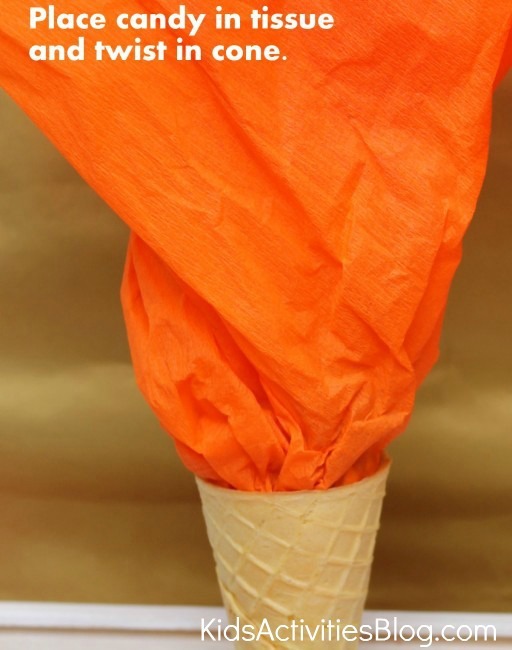 Another idea, is fill it with salty goodies and have them save the cone for later and fill it with ice cream, for a sweet treat. What country are you rooting for in the Olympics? 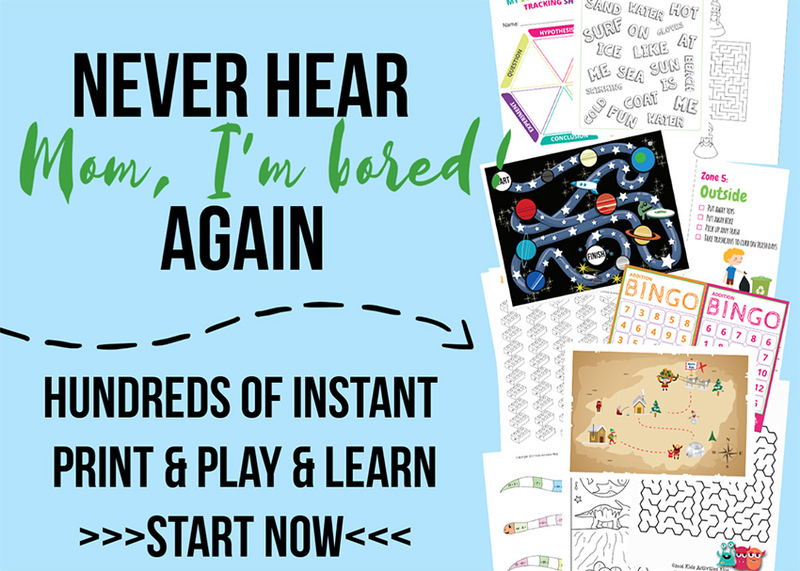 Olympics for Kids: Color Sorting – With the Olympics right around the corner it is the perfect time to use the symbols of the Olympics to create activities for children that review or introduce learning concepts such as color sorting. Make a British Flag: Celebrate Shapes and the 2012 Olympics – The colors, shapes and figures included in a country's flag tells us a story and provides a wonderful opportunity for learning. What fun! This is such a cute idea! Thanks and you can’t beat easy! I made these for my kids for the opening ceremonies. They absolutely loved them!